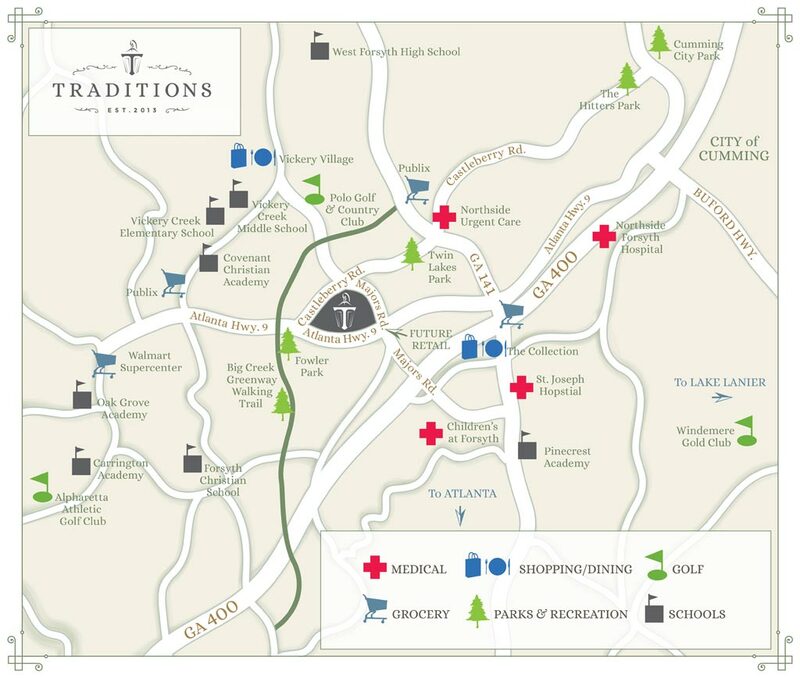 We are still receiving requests for more information on the master planned community, Traditions, and wanted to share this update with you. 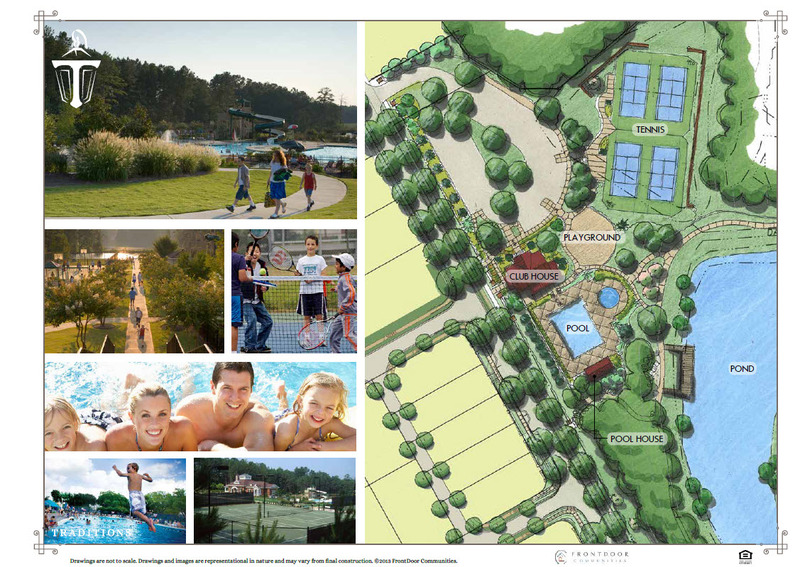 FrontDoor Communities, the developer, was a finalist in the Atlanta Business Chronicle’s Residential Deal of the Year. 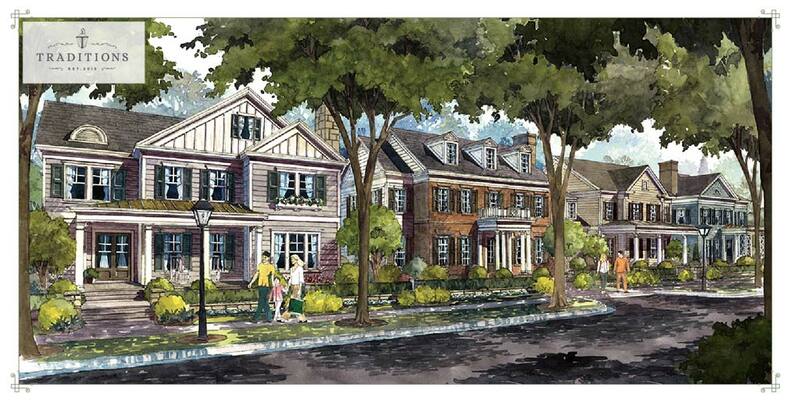 FrontDoor Communities will be delivering homes in Traditions in 2014 priced from $300,000 to $500,000. 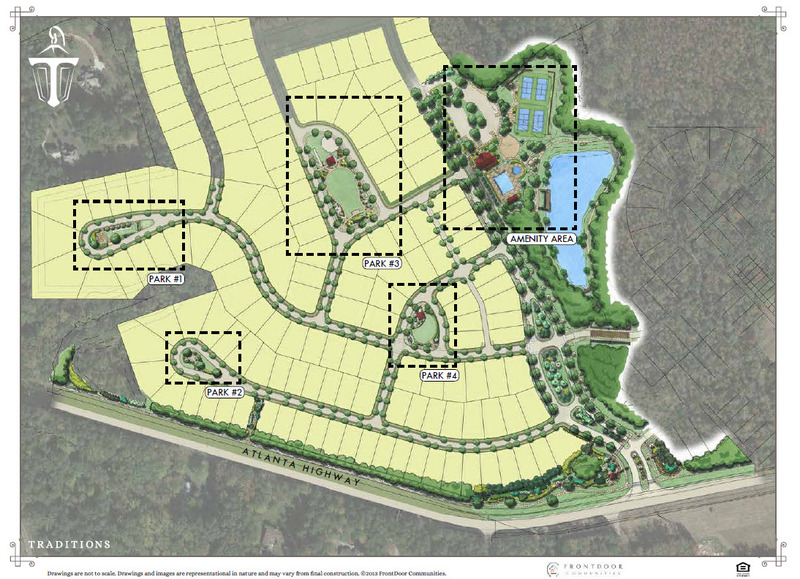 The $178 million dollar community will encompass 420 homes on 158 acres in South Forsyth. 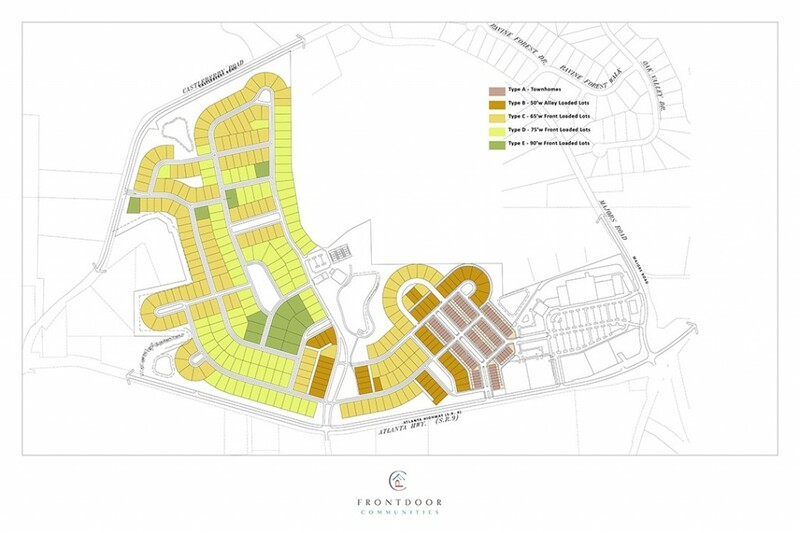 Interest still remains high in this fabulous new 400-home community in South Forsyth County, Georgia, and I will continue to post updates as I have them. 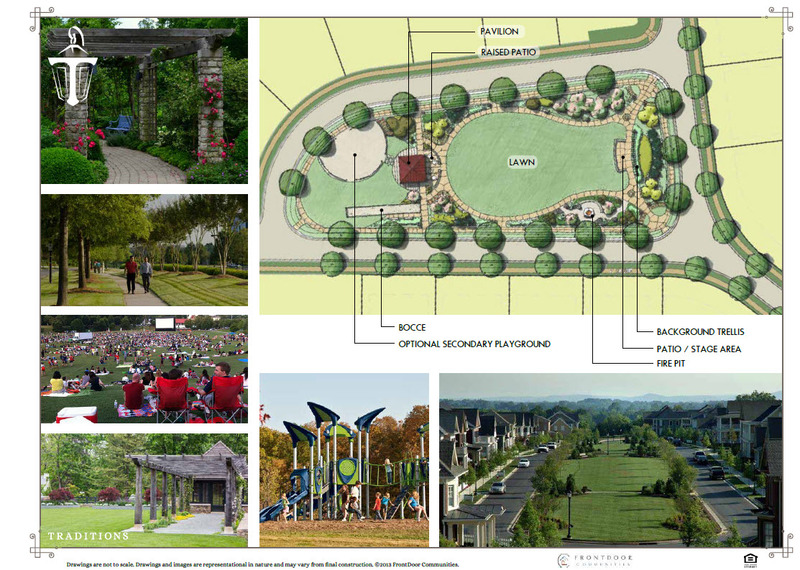 The latest update we received was regarding the initial park plans. 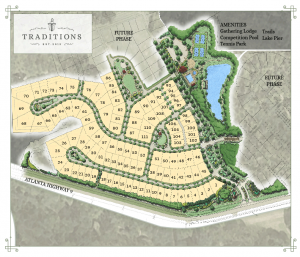 When complete, Traditions will have over 10 parks throughout the 158-acre community. 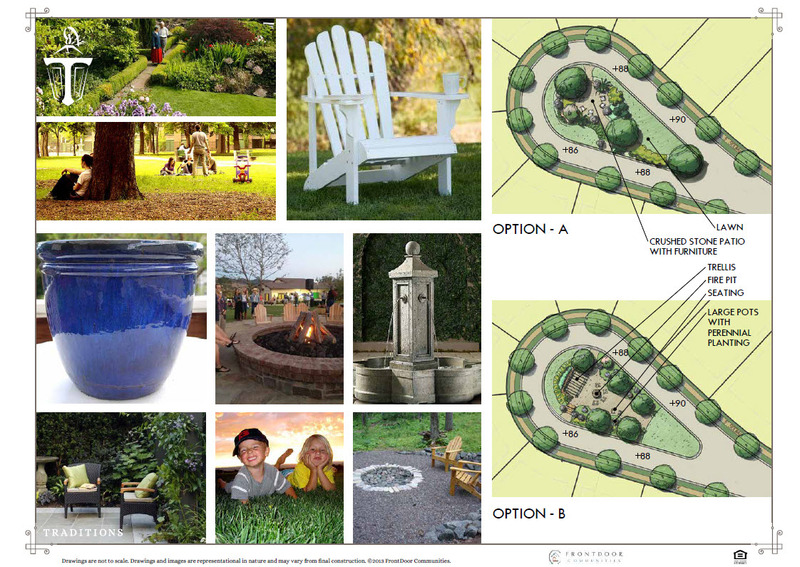 At the end of this post you will find the initial designs for Phase I parks and inspirational imagery. 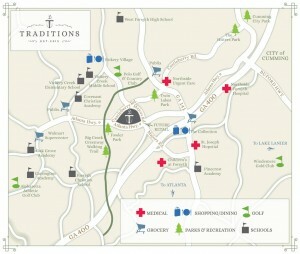 Phase I should be completed by mid-2014. 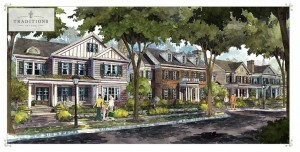 If you are interested in this fabulous new community, please contact me before the choice lots have been taken. 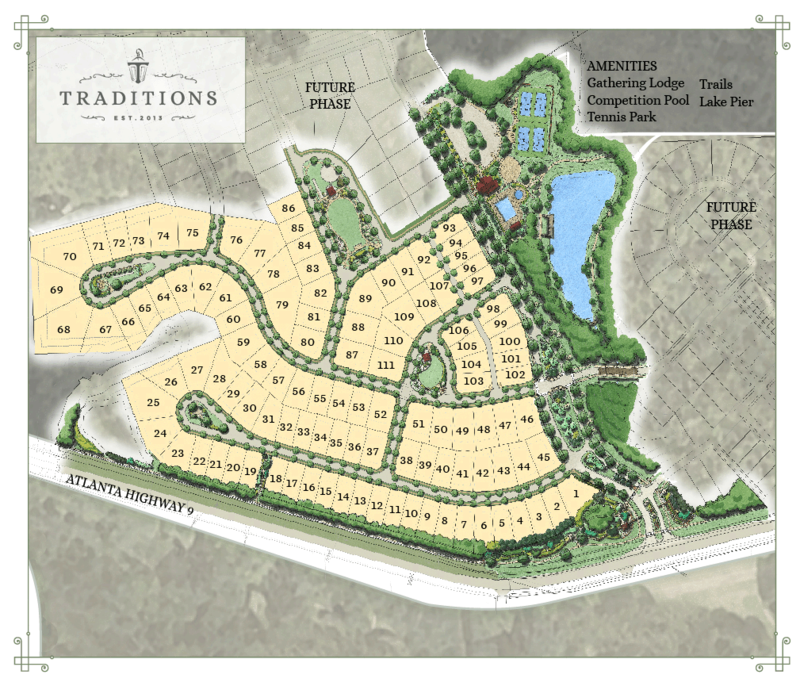 While groundbreaking just took place, this new 400-home community in South Forsyth County, Georgia is drawing a lot of interest.